The new Nike Elastico Finale III boot is now available for full customization on NikeiD. The new Nike Elastico Finale III football boot is made of one piece NikeSkin technology for improved grip and comfort. 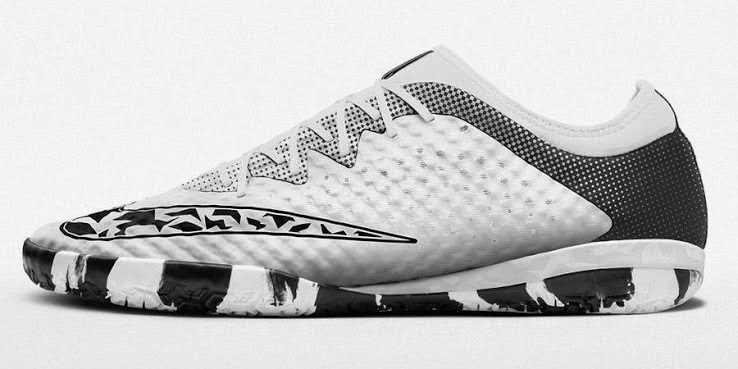 Nike should have the new Elastico Superfly IC and TF available on NikeiD very soon as well. Players can select from two different outsoles, the IC for indoor playing surface or TF for turf playing surface. The color choices are black and white for the IC outsole, while the TF outsole is available in turquoise, volt, red and hyper crimson. The actual color of the boot could vary depending on the taste of the player creating the boot. There are 12 different color options. You can also customize the laces, swoosh and midsole. Nike Elastico Finale III NikeiD boot retails for about $130.